When you have suffered a serious personal injury or wrongful death at the hands of someone else, you need the most trusted and experienced attorneys in Kansas City to help you obtain the compensation you deserve. In fact, your choice of a lawyer can prove critical in ensuring your future. When it comes to personal injury and wrongful deaths, we ARE that trusted, experienced, and proven resource, successfully negotiating and winning multi-million dollar settlements and verdicts for our clients. Experience matters; so does tenacity. You will find that Nash & Franciskato lawyers have plenty of both. Nash & Franciskato Law Firm focuses on the overall consequences of a serious accident, not just how it affects the individuals involved and injured, but the families and survivors as well. What that means for you is that you are able to focus on healing — from the stress, emotional trauma, physical injuries and medical treatment. Nash & Franciskato handles all the legwork: investigating the circumstances surrounding the accident, documenting all injuries, proving liability and identifying the sources of recovery, removing that burden from your shoulders. We are your advocates. We work hard to negotiate with insurance companies and other entities to obtain a settlement for you. Should that not happen, we are prepared to take your case to trial. Time can be of the essence. Contact us for a free, no-obligation case evaluation. One of our attorneys will personally talk with you and advise you about taking legal action. If you have been injured in any kind of an accident, you may not know whether someone else is at fault and who will pay for medical expenses, lost wages or the impacts of a wrongful death. The best thing to do is speak with one of our attorneys who know the laws regarding personal injuries and wrongful death cases. He or she can advise you on the law, statutes of limitations, what you will need to do and just as importantly what you should NOT do. At Nash & Franciskato, we will talk with you at no charge to determine if legal action is the best course to take. You need a lawyer with experience in personal injuries and wrongful deaths, one who focuses solely in this area of the legal profession. It is always good to meet face-to-face with the attorneys you are considering. If that is not possible, conduct an interview over the telephone. 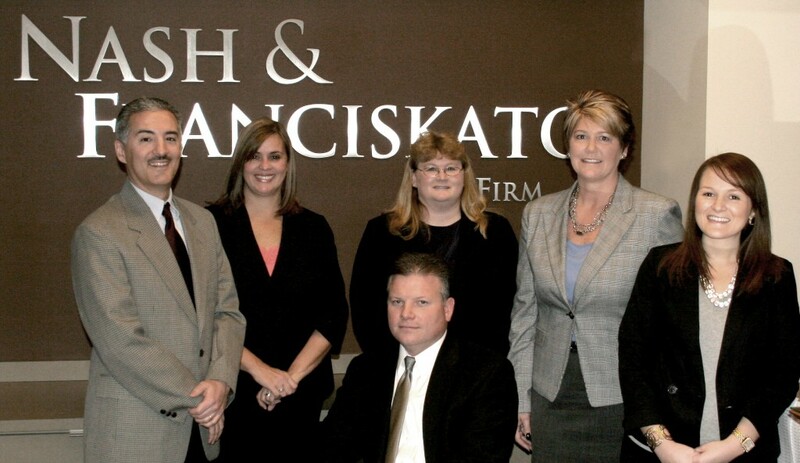 At Nash & Franciskato you will always receive personal attention from our attorneys and staff. How much will it cost me to speak with you? At Nash & Franciskato, you do not have to be concerned about up-front costs, fast-mounting attorney’s fees, or case expenses. We handle personal injury and wrongful death cases on a contingency basis; that means you pay no fees unless we succeed in obtaining financial compensation in your case. In fact, when we investigate a case to evaluate it, we do so at our expense so that we can advise you based on the strength and merits of your case.